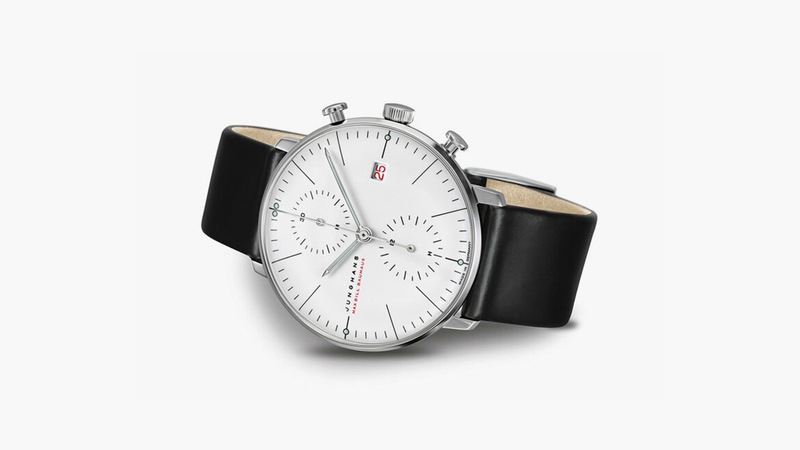 We agree with Junghans that 100 years of Bauhaus should be celebrated with more than one watch. (I mean, just look at A. Lange & Söhne’s 10 special editions for the 25th anniversary of the Lange 1.) While the 38mm automatic Max Bill is the perfect base watch fit for almost any special edition, we’re glad to see that the 40mm Max Bill Chronoscope is getting some love, too. A departure from the industrial take on the other celebratory Max Bill 100 Jahre Bauhaus, the Max Bill Chronoscope 100 Jahre Bauhaus goes full luxury with an 18-carat white gold case. 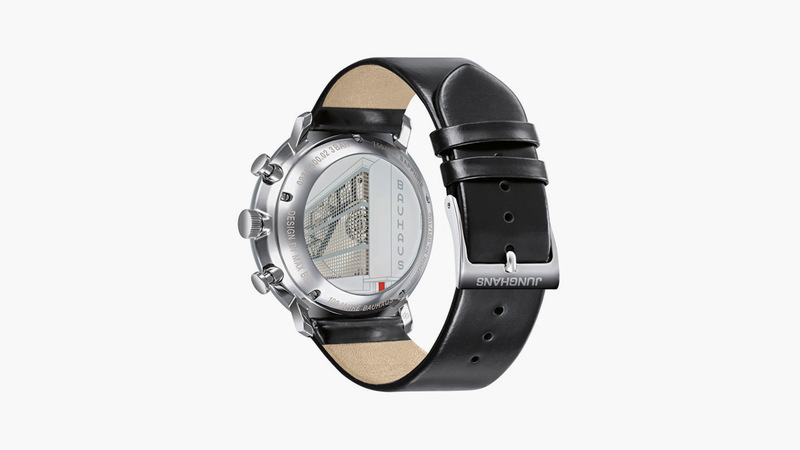 This version maintains the red dial accents that match the striking red doors on the original Bauhaus building, as well as the amazing case back that features a printed picture of the building, through which the automatic movement can be partially viewed. The Chronoscope 100 Jahre Bauhaus features a convex sapphire crystal instead of Junghans’s trademark acrylic and is limited to, fittingly, 100 pieces.